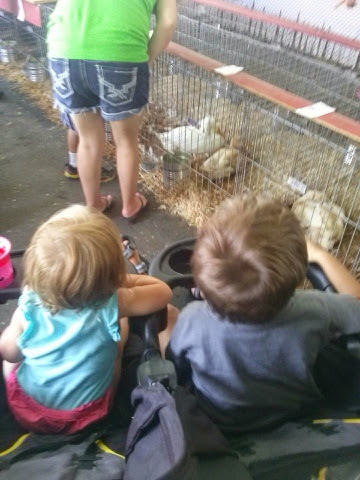 It’s Time for the Wisconsin State Fair! The fair runs from Thurs. July 31- Sun. Aug. 10, 2014. 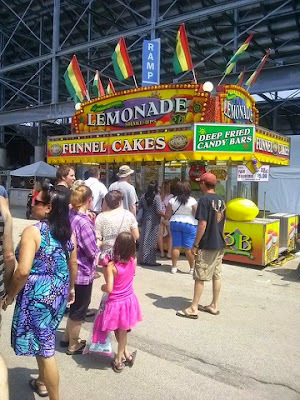 The Wisconsin State Fair is held at State Fair Park in Milwaukee WI. Enjoy all the fun, food, music, rides and exhibits that the Wisconsin State Fair has to offer. I hate to admit this but I have never attended the Wisconsin State Fair. Nope, never……I know what your thinking and yes, I’m disgusted with myself too. The Wisconsin State Fair and Cream Puffs are synonymous with each other. 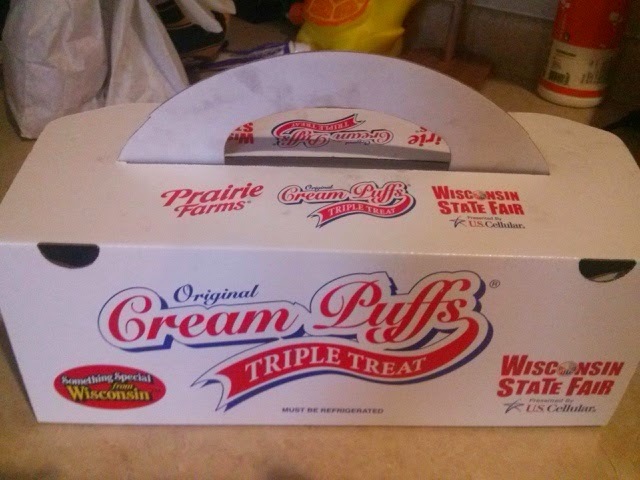 The Wisconsin Bakers Association has served cream puffs at the Wisconsin State Fair since 1924. The Wisconsin Bakers Association and the State of Wisconsin began their joint venture to operate a bakery using Wisconsin dairy products, in a kitchen, in full view, in front of hundreds of people. An “Open Kitchen” concept so to speak. This way people could observe how the cream puffs were made. 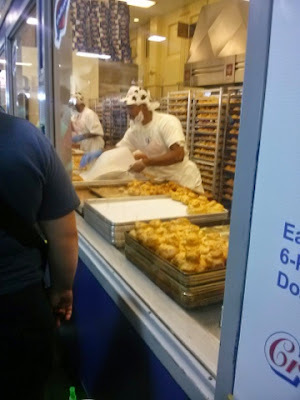 The bakery and cream puffs continued to grow over the years. 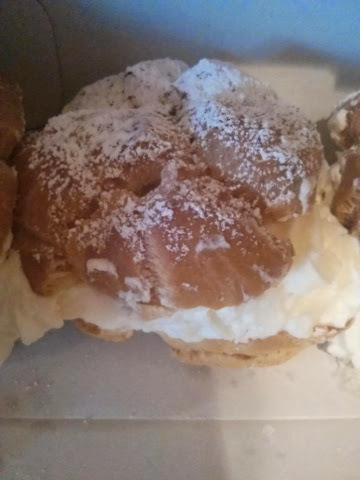 The bakery has made a wide assortment of products and specialized products over the many years in operation but the cream puff emerged as the all-time favorite….and still is. Due to rationing and a shortage of whipping cream during World War II, the Dairy Bakery was closed in 1944, 1945, and 1946, the only years it has been closed. The Bakery re-opened in 1947 and the cream puff craze was born and is still going strong today. 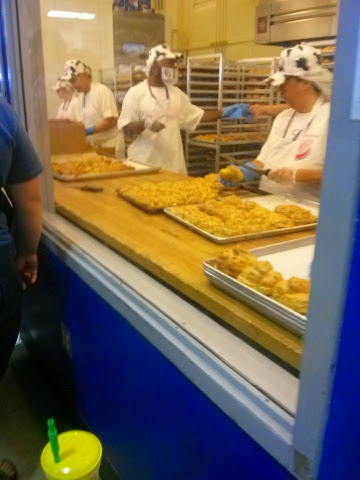 There is a special team with 200+ members called; “Team Cream Puff.” This team works around the clock during the days of the fair and the days leading up to the fair. Team Cream Puff works 24/11 to bring fair goers their much loved cream puffs. While your in line to pick up your cream puff order, you can watch Team Cream Puff through a glass window making cream puffs. You can even get your cream puffs “to go.”You can sneak a bite or two on your drive home from the fair…if you can wait that long. If you would like to make your own cream puffs, give this recipe a try. In a large saucepan, bring the water, butter and salt to a boil over medium heat. Add the flour all at once and stir until a smooth ball forms. Remove from the heat and let stand for 5 minutes. Add eggs, one at a time, beating well after each addition. Continue beating until mixture is smooth and shiny. Drop by 1/4 cupfuls, 3-inches apart onto greased baking sheets. Combine milk and egg yolk; brush over puffs. Bake at 400º for 30 to 35 minutes or until golden brown. Remove to wire rack. Immediately cut a small slit in each cream puff to allow steam to escape, cool. In a large bowl, beat cream until it begins to thicken. Add sugar and vanilla extract; beat until almost stiff. 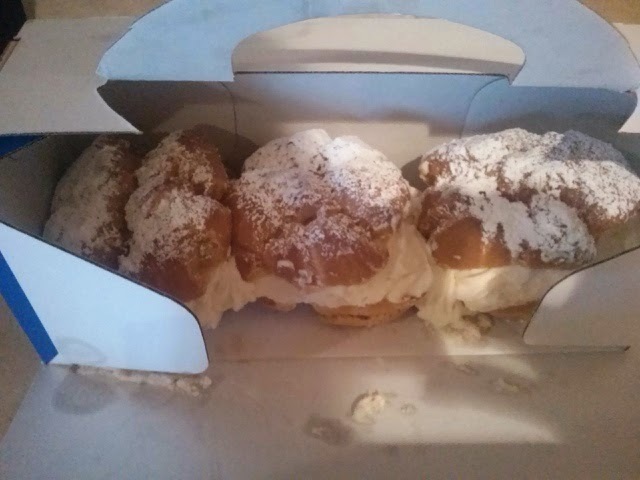 Split each cream puff in half, discard soft dough from inside. Fill the cream puffs just before serving. Dust with confectioners’ sugar. For more information go to: State Fair Cream Puffs. Did you know that June is Dairy Month in Wisconsin?